One of the primary focuses of the Elmbrook Rotary Club is community involvement, and as most of us are aware, food is a basic need throughout many of our communities and not just around the world. Another focus of the Club is youth, and 1/3 of the people served by the food pantry are children. Prior to the drop off date, Rotarians were reminded of the event, and encouraged to collect non-perishable foods to donate. In addition, the Club sets aside $500 to match the first $500 members donate. On the drop off dates, Thom, along with Community Service Committee members Mike Schmeling and Arne Landsverk, collected the items and cash donations. 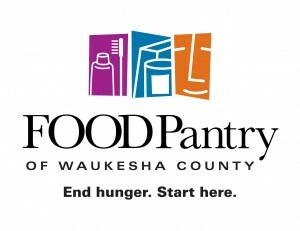 After the collection Arne dropped off the food at the Waukesha Food Pantry on Friday March 13th. In addition to collecting two laundry baskets full of food, Elmbrook Rotarians donated a whopping $1,029, easily exceeding the match of $500 for a total of $1,529. This will be donated through the Match Day website to receive an additional “proportional” match. Thanks to everyone involved in this important program and for your generous donations.